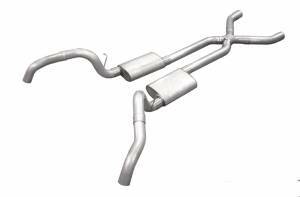 Pypes Exhaust Systems are designed to deliver enhanced performance, provide extra punch in the passing lane and improve gas mileage. Fabricated using the highest quality materials, our smooth, seam-coated, 16 gauge, mandrel-bent, stainless steel pipe ensures maximum exhaust gas flow, which can significantly boost horsepower. The stainless construction of our pipes and mufflers enables them to resist corrosion and extends the life of the system. 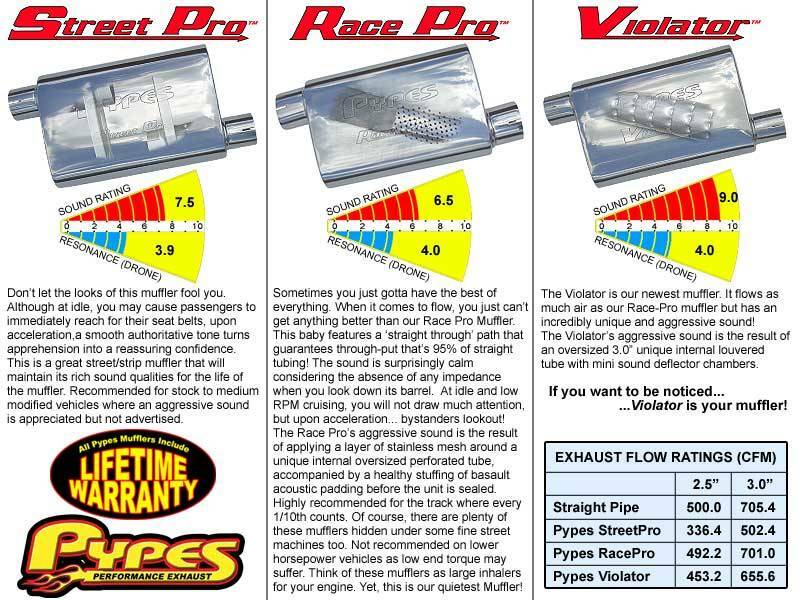 Our mufflers are also stainless constructed and precision matched to deliver the ultimate in sound and performance. X-pipe, oem style stainless tailpipes, cad plated clamps and stainless hangers. These systems can be installed at home without any special tools. Choose from available Tips. EVT50 for quarter exit (Common on 67-68's). EVT61 for rear bumper exit (Common on 69's).